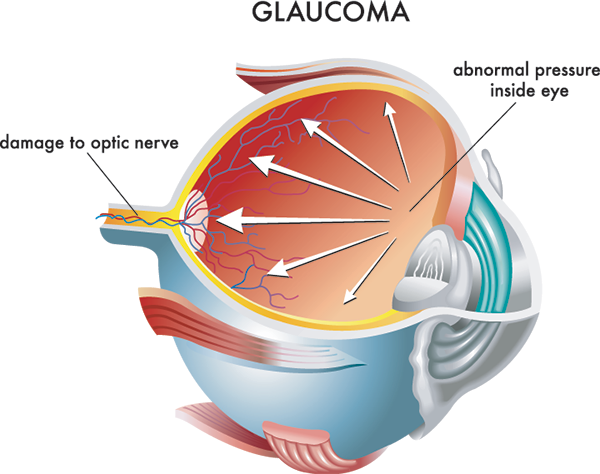 Glaucoma is the second leading cause of blindness. Sometimes called the silent thief of sight, glaucoma can damage your vision so gradually you may not notice any loss of vision until the disease is at an advanced stage. The most common type of glaucoma, primary open-angle glaucoma, often has no noticeable signs or symptoms. Early diagnosis and treatment can minimize or prevent optic nerve damage and limit glaucoma-related vision loss. It's important to get your eyes examined regularly, and make sure your eye doctor measures your intraocular pressure.